Bulgaria's Battle for Mayors, Round 2 - Who? Where? How? A total of 173 out of 264 Bulgarian municipalities will vote for mayors in a second round on October 30, including Plovdiv, Varna, Smolyan, Pleven, as none of the candidates got 50% of the vote in the first round on October 23. 18 of Bulgaria's 27 major regional cities will be holding run-offs, with 11 of them pitting representatives of ruling GERB against the Bulgarian Socialist Party. Among the closest second rounds are those in Smolyan, Vratsa, Razgrad, Vidin and Sliven. In a number of cities the GERB candidate has the better chances to win; at places where the socialist candidate did not reach the run-off, the Socialist Party has recommended its supporters to vote for the local rival of the GERB candidate. Following is a list of the rivals, who will clash in the second and final round of the battle for the mayoral post in Bulgaria's major cities on September 30. We are also offering you the quotes from the time of the pre-election battle, which describe each candidate best. Plovdiv is the second-largest city in Bulgaria after Sofia with a population of 338,153 inhabitants according to Census 2011. It is located in southern Bulgaria on the two banks of the Maritsa River. Seventeen candidates vied for the mayoral post in the city, most of whom failed runners from previous elections. Nearly 6 000 ballots were declared invalid at the first round. 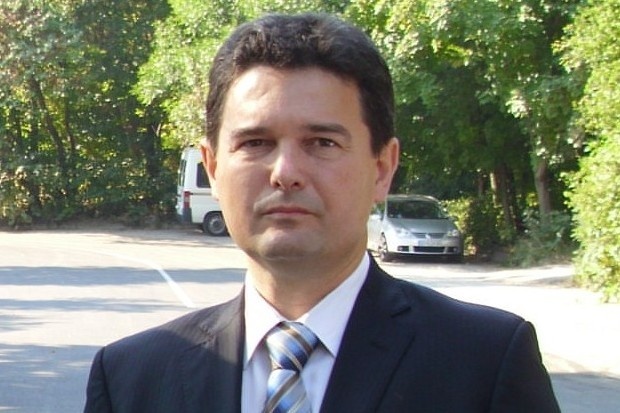 Slavcho Atanasov – incumbent mayor, seeking re-election. 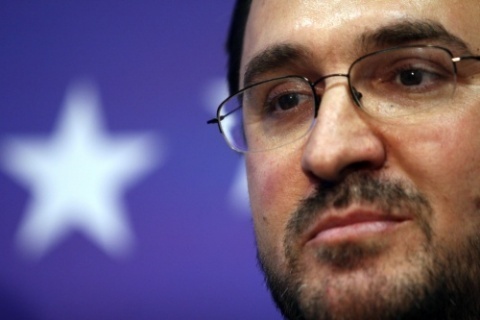 He was nominated by the alternative nationalist part VMRO-NIE and will be supported by the centrist right-wing United Democratic Forces, the United Agrarians. Despite expectations that Atanasov will clinch a victory as early as in the first round, he was supported by no more than 27.7% of the votes. Despite his lackluster result at the first round of the elections, Atanasov was backed for the runoff, by the Bulgarian Socialist Party, the former communists, much to the disappointment of the right-leaning voters. Interestingly his bid was also backed by the right-wing United Democratic Forces and ethnic Turkish Movement for Rights and Freedoms. Right after the results from the first round emerged Atanasov was unexpectedly dealt a heavy blow – he was rushed to a local hospital and underwent a surgery of acute appendicitis with local peritonitis. The rival candidate Ivan Totev turned down the invitation for holding last round of debates before the runoff in the local hospital and just wished him speedy recovery. This practically spelled the end of the pre-election campaign in the city. "After my appendicitis is removed, I will feel much better and slimmer – I was on my way to hit 100 kilograms. I feel ready to face off Ivan Totev in as many run-offs as he wishes. At the first debate that we had Totev managed to tell twenty lies about me in eleven minutes. 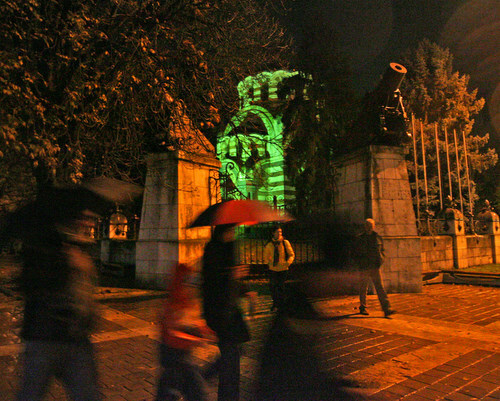 This is not what the citizens of Plovdiv deserve." 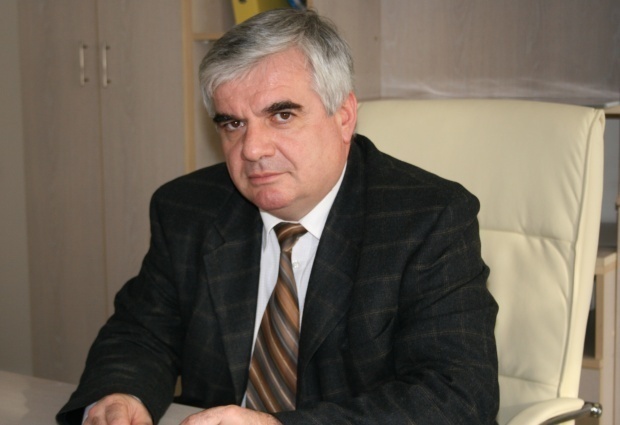 Ivan Totev – the current District Governor of Plovdiv, nominated for Plovdiv mayor by Bulgaria's ruling center-right party GERB. He garnered 35.6% of the votes at the first round of the elections. Following Totev's lead in the first round, the right-wing Blue Coalition and the Greens declared their support for his bid. "Over the past few days I have been hearing numerous claims by employees of the Municipality of Plovdiv that the current mayor intimidates them, claiming that after my eventual victory, there will be a purge in the municipality and mass dismissals. This is not true. GERB is a party, which seeks constructive dialogue with everyone and will use the potential, experience and capabilities of each employee for the sake of the city's development. I want to reassure all the employees in the administration of the Municipality of Plovdiv that rumors are groundless, seek political gains and have nothing to do with reality. Our top priority is to change the political model of governance in the municipality." Varna is the largest city and seaside resort on the Bulgarian Black Sea Coast and third-largest in Bulgaria after Sofia and Plovdiv, with a population of 334,870 inhabitants according to Census 2011. Commonly referred to as the marine (or summer) capital of Bulgaria, Varna is a major tourist destination, business and university centre and a seaport. Being one of Bulgaria's richest and biggest municipalities, Varna resembled a battlefield during the stormy pre-election campaigns. A total of thirty-seven parties, coalitions and initiative committees took part in the first round of the mayoral elections in Varna. Surprisingly the first round of the elections in the coastal municipality was marred by a relatively low voters' turnout - 33%. 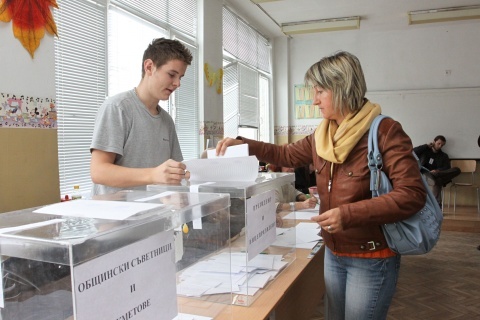 In every other municipality in the district of Varna, the local and presidential elections managed to quicken the pulse of more voters. 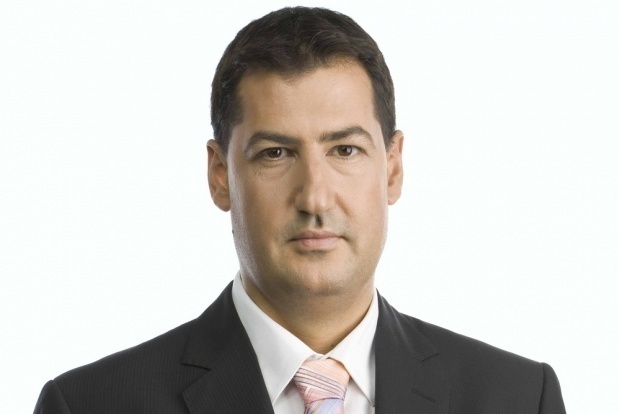 Kiril Yordanov – incumbent mayor, seeking fourth term as Varna mayor. He has been endorsed by the country's ruling centrist-right GERB's runner in the local elections on October 23, when he garnered 30.23% of the votes. Yordanov stepped into his first term as mayor of the biggest coastal town in Bulgaria in 1999. During the previous local elections in 2007, he won the race for mayor in the first round after garnering the support of 53.42% of the voters at a turnout of 45.02%. 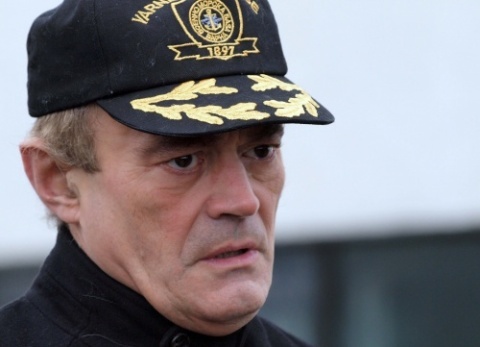 Prior to the second round Yordanov kept a low profile and persistently refused to join pre-election debates with his rival Veselin Mareshki. "The pre-election generosity of my rival [Vesselin Mareshki] is in a league of its own, the stuff of folklore." Vesselin Mareshki – a controversial Bulgarian businessman, founder and owner of the eponymous large low-cost drug store chain. Mareshki was nominated by an initiative committee for the first round of the elections, when he was supported by 18.58% of the voters. In between the two rounds Mareshki received the much coveted support of the previously ruling Bulgarian Socialist Party and the National Movement for Stability and Prosperity (NMSP), the political party of Bulgaria's former tsar and former prime minister Simeon Saxe-Coburg. During the local elections two years ago, when Mareshki also ran for mayor of Varna, his name was implicated in vote buying. Back then he handed out banknotes of BGN 100 to teachers who had walked off the job in protest against small wages. The businessman had promised them more money in case he become elected, which he failed to do. Police searched his offices back then, but now reports say he is handing out – again – bribes to his clients and potential voters as high as BGN 150. "I'm ready to rule Varna. I will boost the investors' confidence in the city. Being a successful businessman I would try to introduce rules, which will ensure equality for all people and all businessmen who want to work with the municipality. I have nothing to lose in this battle. If I lose the election, I will be much better off as far as my personal life is concerned and will lead a much calmer life. If I win the election, I will lose my personal life and will become Varna's slave. I am one of the very few candidates in these elections, who have nothing to do with vote-buying. The incumbent mayor and rival Kiril Yordanov was dealt a heavy blow by the voters during the first round of the elections. He does not want to fix Varna, he is just greedy for yet another term. What everybody saw is that he is arrogant, with no good manners and slightly insane." Nayden Zelenogorski – nominated by Bulgarian New Democracy. He is one of the very few right-wing politicians to have tasted the joy of re-election and runs in October for his fourth term as mayor of Pleven. Zelenogorski is facing an uphill struggle convincing the people he deserves reelection as local media has started fawning for his rival Dimitar Stoykov, candidate of the ruling GERB party of Prime Minister Boyko Borisov. The incumbent mayor garnered 29% of the votes during the first round of the elections against 33% for his rival. Between the two rounds Zelenogorski received much needed support by the former European Commissioner Meglena Kuneva, who finished third in the presidential race. His bid was also backed by the Green party, the nationalist VMRO-BND, prominent writer, journalist and politician Lyuben Dilov Junior, many intellectuals. They say Zelenogorski's qualities as a politician and mayor are undisputed, his presence in the sparse democratic community of Bulgaria – strong. According to them the mayoral elections in Pleven are an example of what Bulgaria should not allow – the attempt to win with tricks. In the local elections in October 2007 Zelenogorski, who was backed by a broad coalition of right-wing parties, won confidently with 57% of the votes in the first round. This was the third time that Nayden Zelenogorski came out as winner in local elections, but the first time that he secured his victory right away. The Socialists, whose candidate managed to make it to the run-offs, said the election was marred by vote-buying and challenged in court Zelenogorski's re-election, but with no success. Nayden Zelenogorski was born on September 2, 1961. He was named by the Institute for biographical categorizations to IBC Cambridge, UK, "Statesman of 2002" and "Statesman of 2007". Doctor of Management honoris causa of the IBC Cambridge, UK. Two-term member of the delegation of the Congress of Local and Regional Authorities of the Council of Europe in Strasbourg. Member of the Bulgarian delegation to the Committee of the Regions in Brussels. Chairman of the Association of Bulgarian cities and regions. "I believe we have the potential to garner another 10 thousand votes, and I want to call on all citizens to vote actively in the second round to secure our victory. I will keep up my campaign positive. I will not let myself resort to attack, insults and slanders, as my opponents have done. I am convinced that the good and the honest always succeed!" Stoykov was born in 1959. In 1985 graduated in "Medicine" at Medical University - Pleven. He is currently CEO of the University Hospital "Dr. Georgi Stranski" in Pleven and Dean of the Faculty "Health Care" at the Medical University in Pleven. If elected a mayor he vows to turn to town of Pleven into an attractive place for business and investment, offering opportunities for successful professioanl realization of the young people in a green and clean city with modern, accessible and safe environment. He wants to revive the town's glory as a tourist destination with preserved cultural, historical and natural heritage. 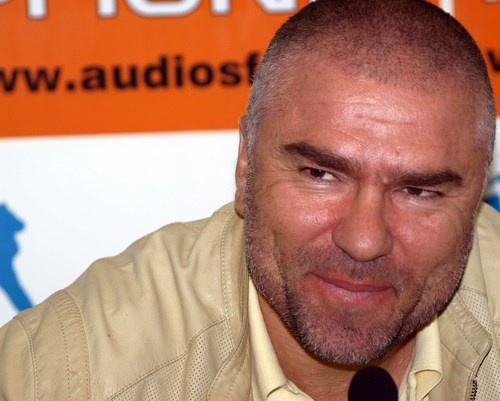 "With his visit to the town of Pleven, Boyko Borisov gave us his support as a human being and as a friend. In this way he told the citizens of our town that he is their friend too which is much stronger commitment than many others because true friends are friends forever." 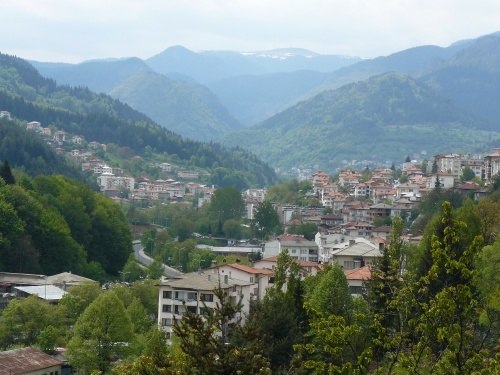 Smolyan is a town and ski resort in the very south of Bulgaria not far from the border with Greece. As of February 2011, it has a population of 30,283 inhabitants. Seven candidates vied for the mayoral post in the town, a traditional stronghold of the Socialist Party. The failure of the incumbent Socialist mayor Dora Yankova to win outright came as a shock for her. 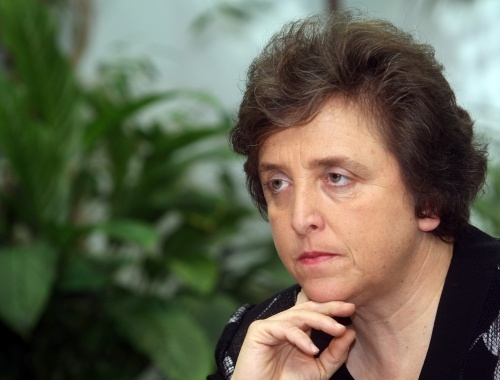 Dora Yankova - Bulgarian Socialist Party (BSP), incumbent mayor, who seeks re-election for her third term after managing to get only 41.33% of the votes at the first round. Yankova first stepped into office as Smolyan mayor back in 2003. She is considered one of the most experienced mayors and a vocal critic of the government. "The power of strength got the upper hand over the power of the right to vote during the first round of the elections. The people from the Rhodopi mountains are proud, strong and wise and should use this strength and confidence to stop the urge to power of those who do not know how to rule, but want to rule. Smolyan is confidently marching on the path of change, prosperity and welfare and the people are strong because they have spirit and faith that will help us succeed." 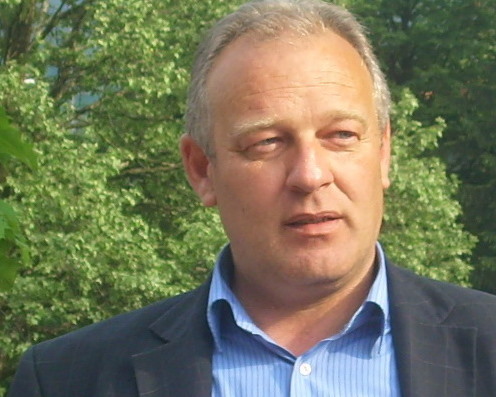 Nikolay Melemov – nominated by the ruling center-right Citizens for European Development of Bulgaria (GERB) party. At the first round he garnered 40.84% of the vote. "On October 23 we took the first step towards change. On October 30 we will make the second step and it will be much more decisive, much more indicative." 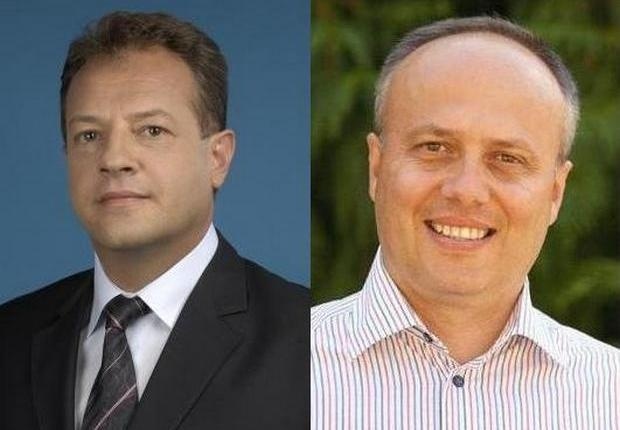 In the northern town of Veliko Tarnovo Daniel Panov, candidate of the ruling GERB party (left in the picture) will face off in the second round Nikolay Ilchev, candidate of the Bulgaran Socialist Party. The two runners managed to garner in the first round 33% and 23% of the votes respectively. 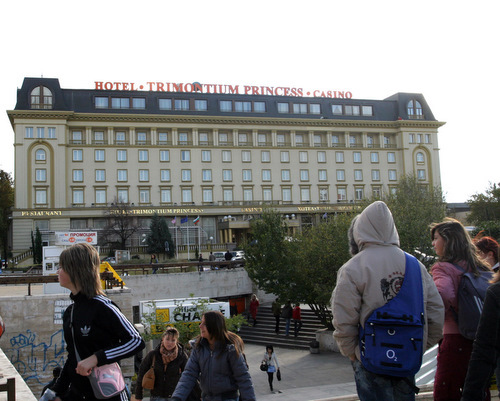 » Bulgaria's Battle for Mayors, Round 1 - Who? Where? How?